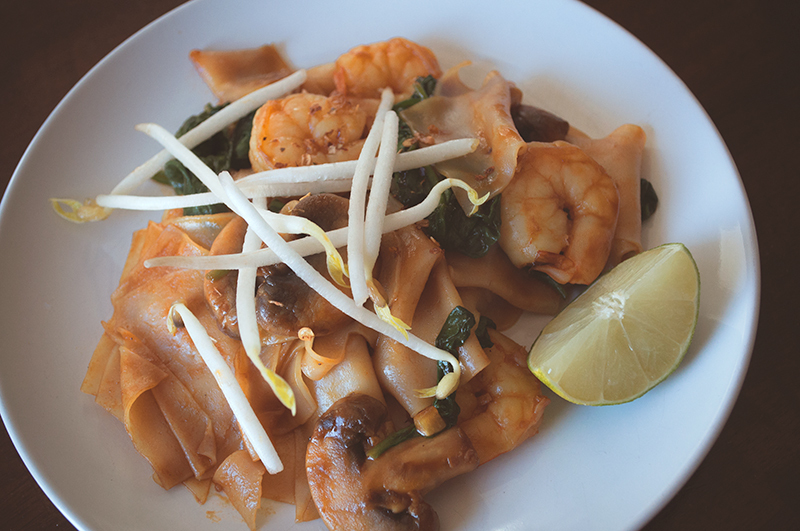 I love Pad Thai so much that it’s pretty much what I order when I eat out at a Thai restaurant. 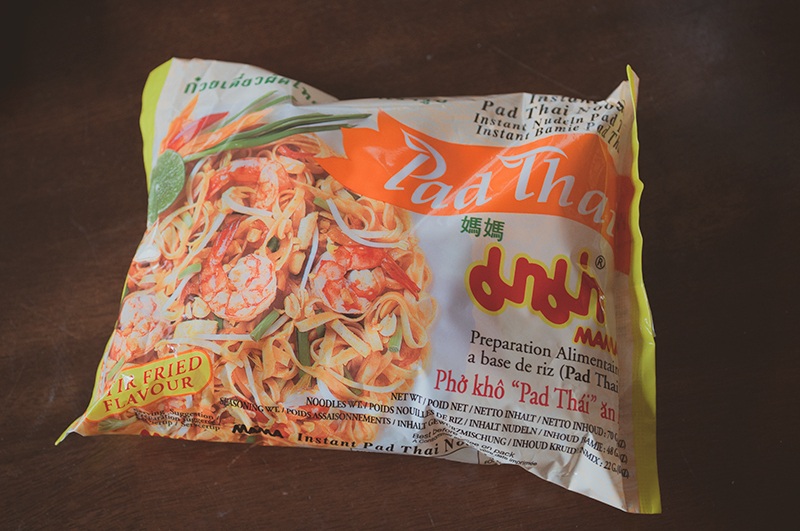 I’ve had bad Pad Thai before and I’ve also had really awesome Pad Thai (in Miami in 2013). 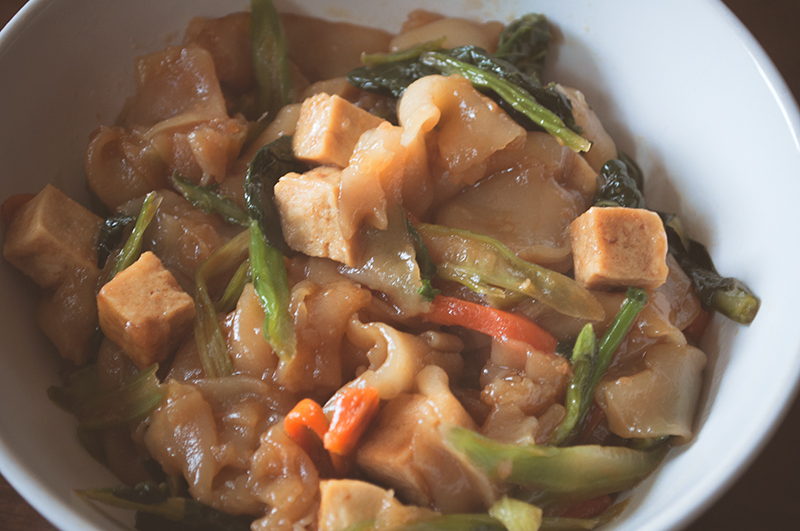 I’m still searching for the perfect Pad Thai here, where I live. In the mean time, I’ll continue eating whatever Pad Thai I can get my hands on. 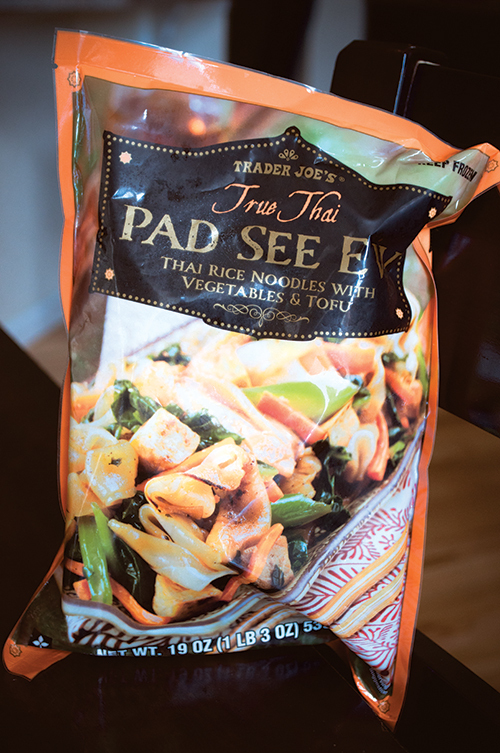 Went to Trader Joe’s for the first time and tried their frozen Vegetable and Tofu Pad Thai. It was okay. A bit too salty for me and I accidentally overcooked the noodles. Also tried this package dried version from the Asian market I frequent. 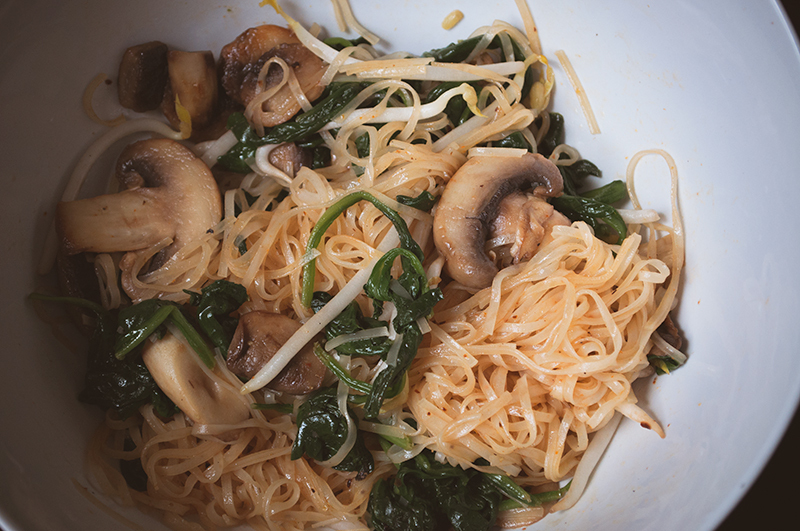 I added mushrooms, spinach, and garnished with bean sprouts. It was pretty good. My current favorite is this homemade version with shrimp. I made it old-fashioned style using ketchup, sweet soy sauce, and oyster sauce. I added mushrooms, spinach, and bean sprouts as well. It was a little on the dry side but so delicious!